Our 90×16 aluminium slats are perfect for your fencing project. The combination of affordability, durability and undeniable style really sets this material apart. You can create a modern, striking look full of clean lines or get it coated to look like beautiful natural hardwood like Kawila or Jarrah. It works with any type of house and they can be used for other applications outside fencing, including window hoods, utility covers and garden screens. There’s no end to the number of looks you can create with this incredible material. Why Use 90×16 Aluminium Slats For Your Fencing Needs? On top of their aesthetic and cost advantages our 90×16 aluminium slats also require no maintenance. You don’t have to varnish or stain them once a year, all you need to do to keep them looking good is give them a hose every now and then. By using our aluminium slats you’ll get your weekends back. On top of being maintenance free they’re also designed to last. Take advantage of the durability of aluminium and enjoy a product that is designed to stand strong during the baking hot summer and the frigid, windy and wet winter. You’ve got endless design options to choose from. 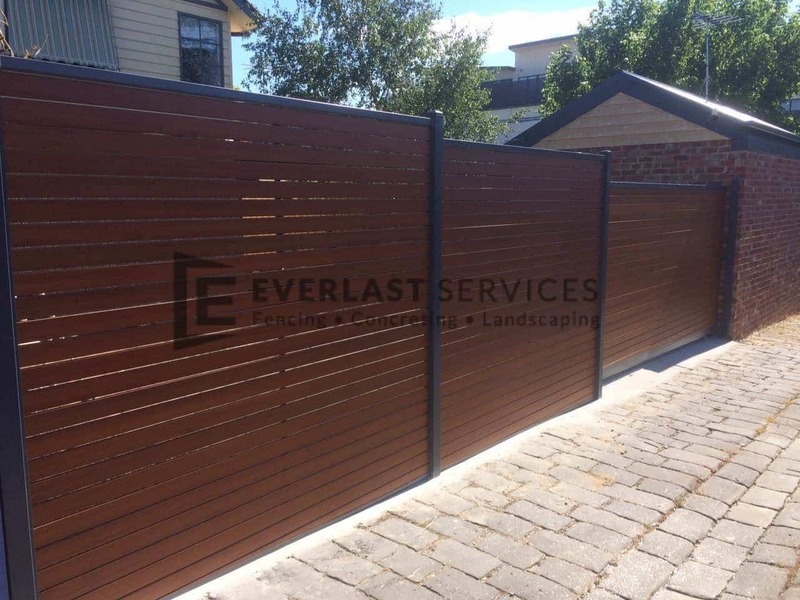 By changing the spacing between slats, going horizontal or vertical or going with the base aesthetic instead of a Jarrah or WRC finish you can completely change the look of not only your fence or your garden screen but your entire home. 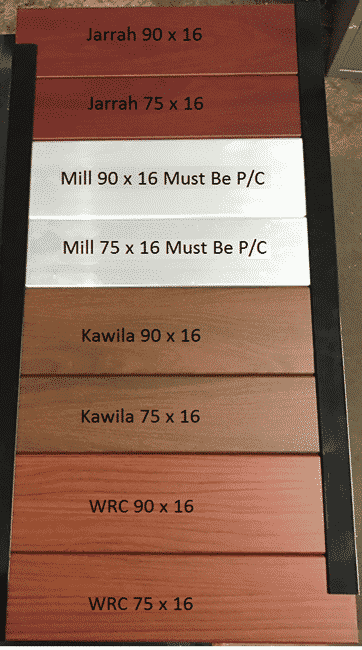 Our 90×16 and our 75×16 aluminium slats are our most popular sizes. We love the 90×16 because they can be used for so many applications. Their width doesn’t detract from their sleek look but it does add to the privacy and security you can achieve. We love using this slat for a fencing and gate services because we can create larger sections with less material to save the customer money. Every single one of our 90×16 in manufactured in house at our Hoppers Crossing fabrication plant. We have strict codes of quality in place and nothing leaves the factory until it has been checked and tested to ensure it looks perfect and will last forever. The other advantage of keeping our steel fabrication in house is that we can find huge savings by not having to pay a manufacturer. A key aim of Everlast Services is to make our products and services available to as many people as possible and that’s why we pass on every cent we save onto our customers. All our fabricators and contactors benefit from our 20 years of experience in the industry. We know how to create quality products and we know how to use the products to create the perfect fencing solutions for our customers. We work as fencing contractors but we also work as a steel and fencing supplier. We always have an expert on hand to answer any questions you have before you embark on your DIY project. If fencing is just the beginning of your home beautification project have a look at our gate, concreting, decking and landscaping service lines.